Level Up are a technology company who create tools to help your business. Tell us your goals and we will work with you to develop a solution that fits. We know what we are talking about and we will keep our promises to you. We work in partnership with a multitude of designers to match a style to your needs. Or designers come to us to bring your design to life. We take huge pride in our work and our clients seem to like it. Here is a sample of our work, together with feedback from our clients. 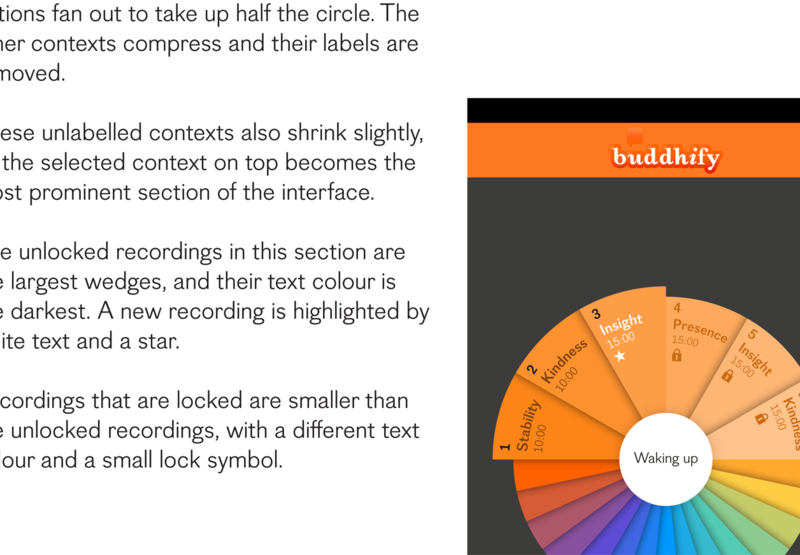 Project: buddhify 2 iOS app development. 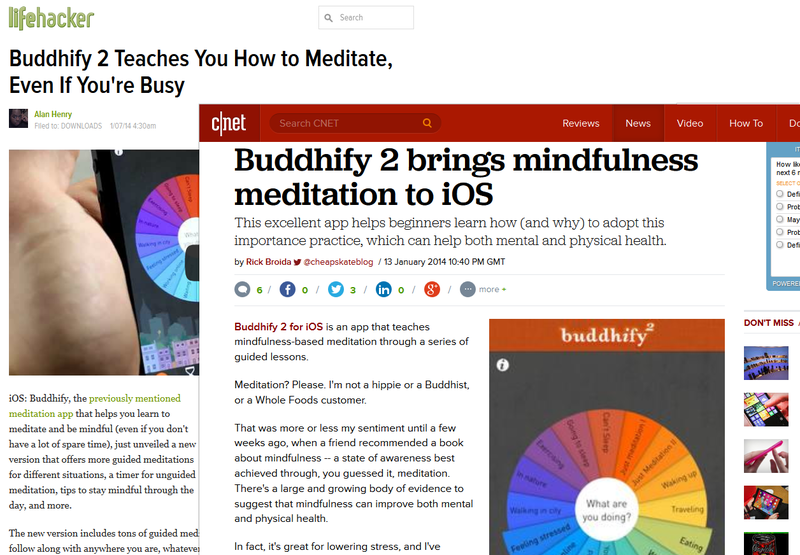 buddhify 2 for iOS is an app that teaches mindfulness-based meditation through a series of guided lessons. 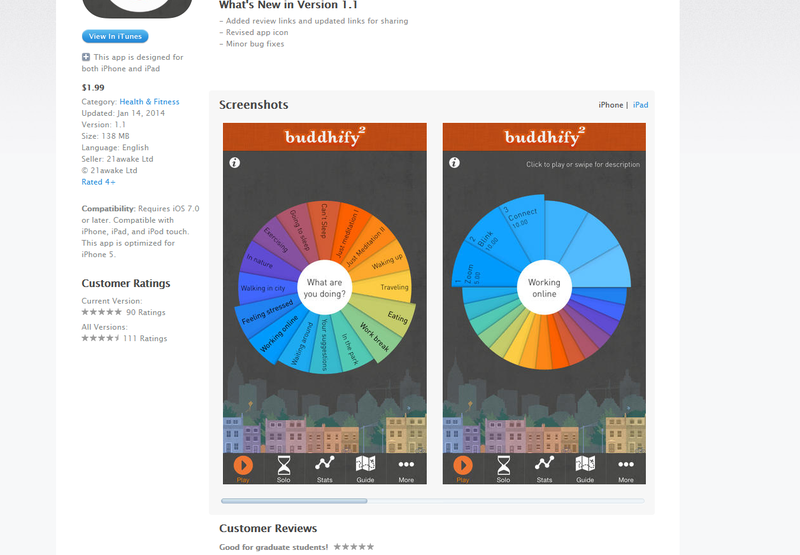 We were approached by 21awake to develop this iOS app in mid 2013.
buddhify 2 won Best Mobile Application Award at The Herald Scottish Digital Business Awards 2014. 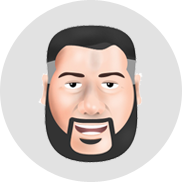 A comprehensive design and interaction specification was provided to us by Stef Posavec which left us free to focus on the app and backend development (with a small amount of work on the timings and animation transitions). The build includes a lot of technologies. 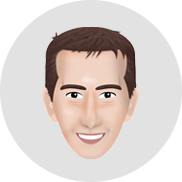 The app was written in native objective C, with cocoas2D to help with some of the openGL graphics effects. In addition a web-api was developed to support the updates and in-app purchases. All content in the app can be updated without needing to push out a new version. On completion and release, the app quickly became a commercial and critical success receiving rave reviews from places such as Cnet and lifehacker. The current version has an average of 5 stars from over 90 reviews. 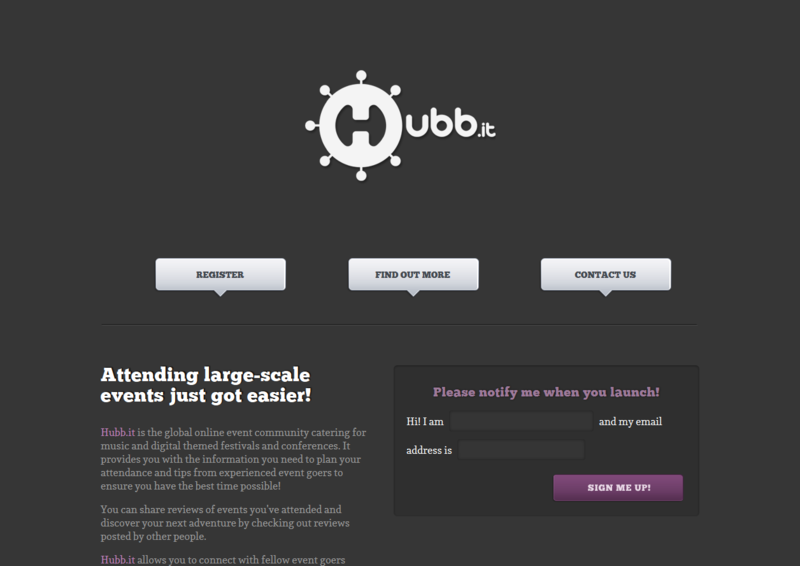 Hubb.it is a new and exciting global online community for event-goers, providing members with a range of information to assist with planning and attending a variety of events. The aim of the beta site is to focus upon communication between users via event profiles, activity streams, event reviews and comments. Members are able to share their experiences through media embedding and image uploads. 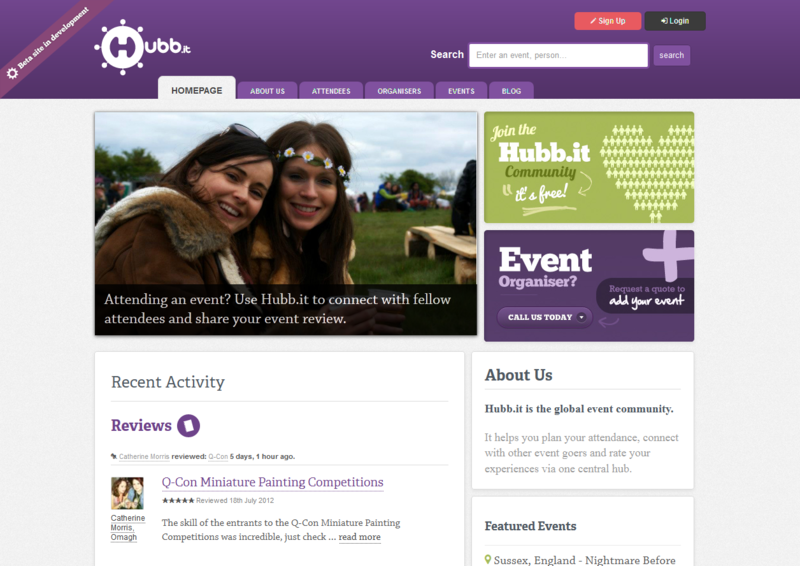 As a community based site, Hubb.it wanted the branding and design to be engaging, communicative and approachable. It was also important that a distinctive design was created, that would contrast with other competitors. 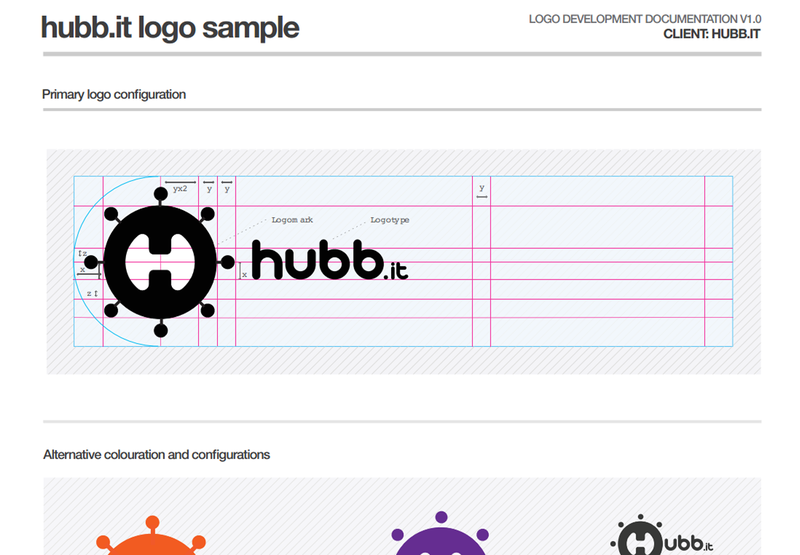 Eon Creative were attached to deliver the Hubb.it branding and the website look and feel. 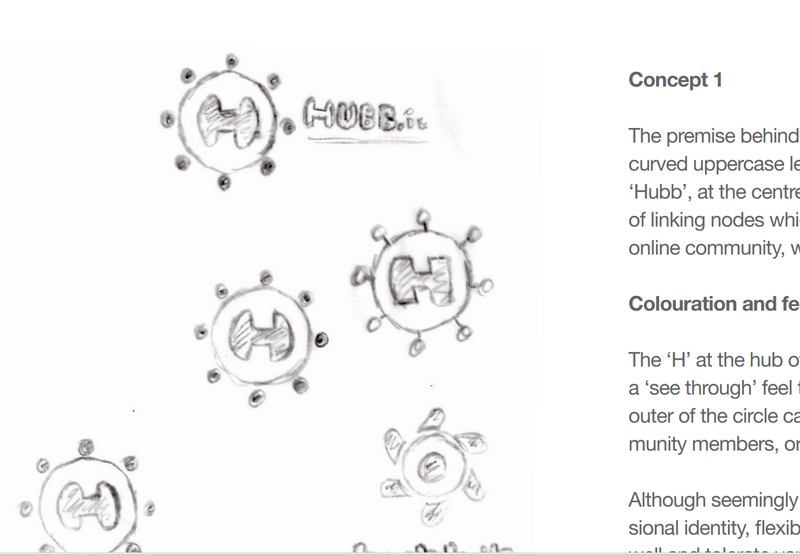 Understanding the client’s goals and the project objectives were key to successfully delivering the Hubb.it site, as the social aspect of the site was complex but needed to appear intuitive and clear to the user. By generating an in-depth project specification prior to commencing development, the fundamental aims of the project were retained, avoiding dilution of the initial concept. 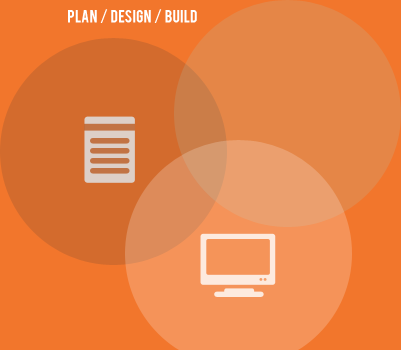 The front end design was developed in the browser, allowing ongoing, flexible collaboration with the client to ensure that the creative brief was met. Level Up have been involved in Hubb.it’s online development from the very beginning. 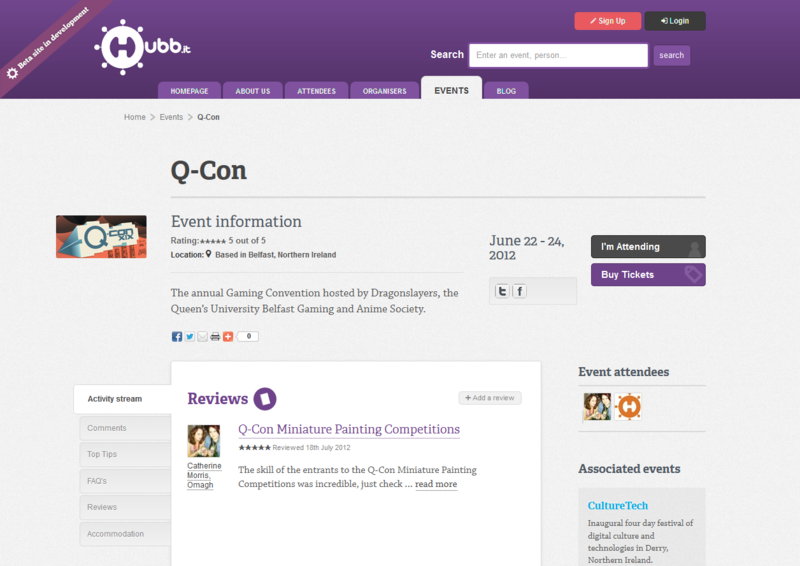 A holding page was designed and launched within four days, so that initial interest in Hubb.it could be captured. 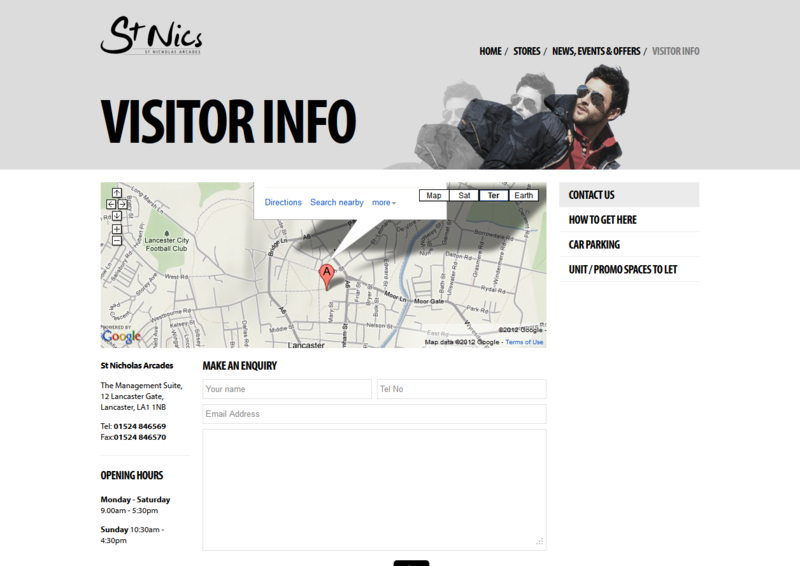 A basic prototype of the full site was created for preview at SXSW 2012, in advance of the full launch. The beta version is now live and further phases of development are planned for later in 2012, introducing new functionality and building on user feedback. 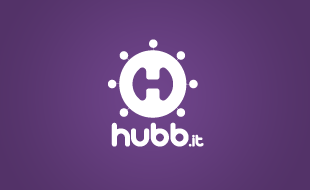 Visit Hubb.it and register to start commenting and reviewing. We found the whole of the Level Up team great to work with. They really understood the idea behind Hubb.it and created a design and functionality which effectively brought this to life. Level Up also understood our needs as a start-up company and helped us agree realistic goals and a clear path for future development as the company grows. 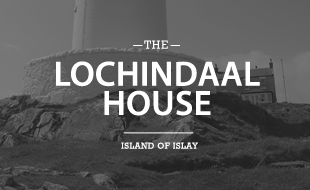 Lochindaal House is a guest house located close to the scenic village of Port Charlotte on the Island of Islay. 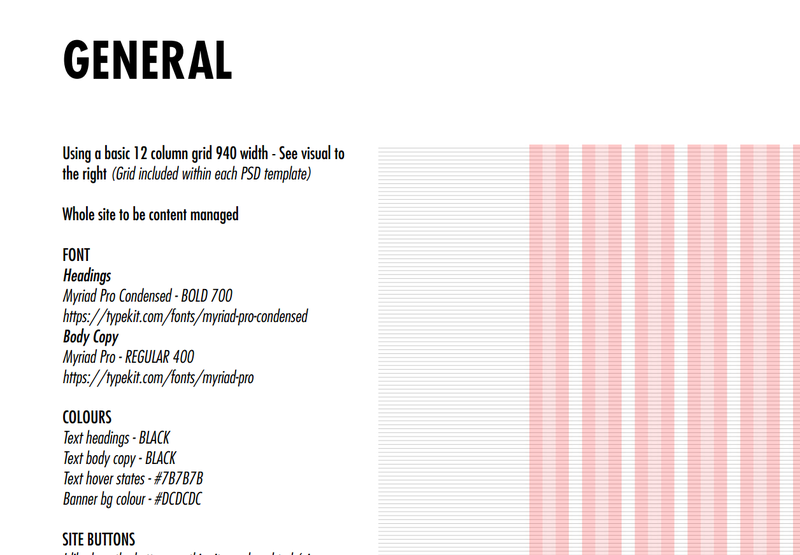 The owners required a brochure site, with some interesting additions. 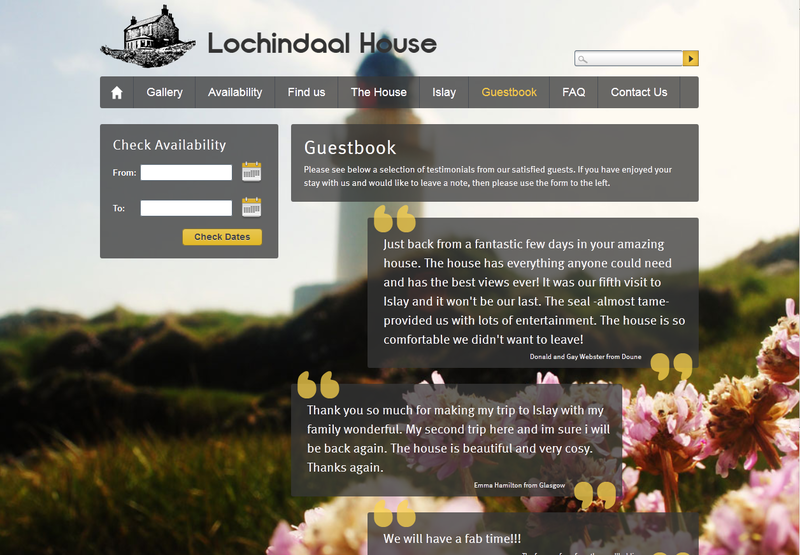 Feedback can be gathered through an online guestbook, FAQs can be submitted and bookings made through the site. A large image gallery and embedded videos allow guests to view the property prior to submitting a booking request. 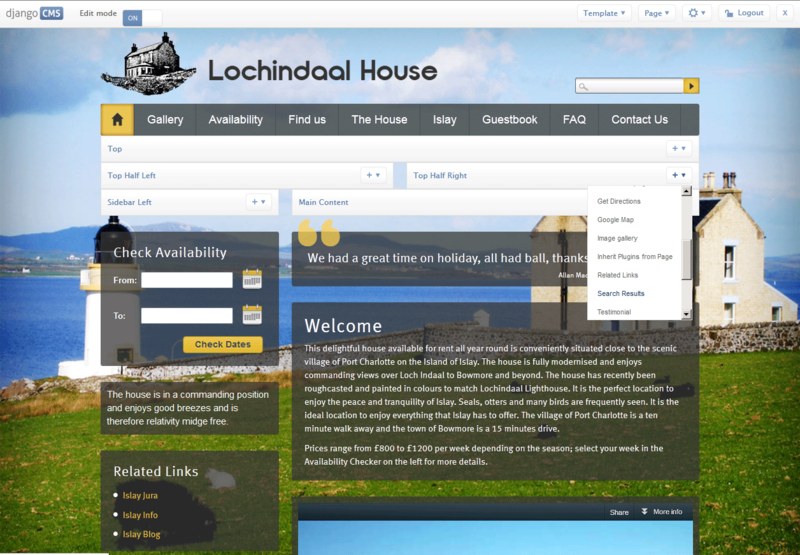 The site is composed of blocks, or widgets, which the owners of Lochindaal can place anywhere on the site. This allows total flexibility of layout, while content can be quickly and easily updated using the Content Management System and front end editing. Booking requests can be made through the site. 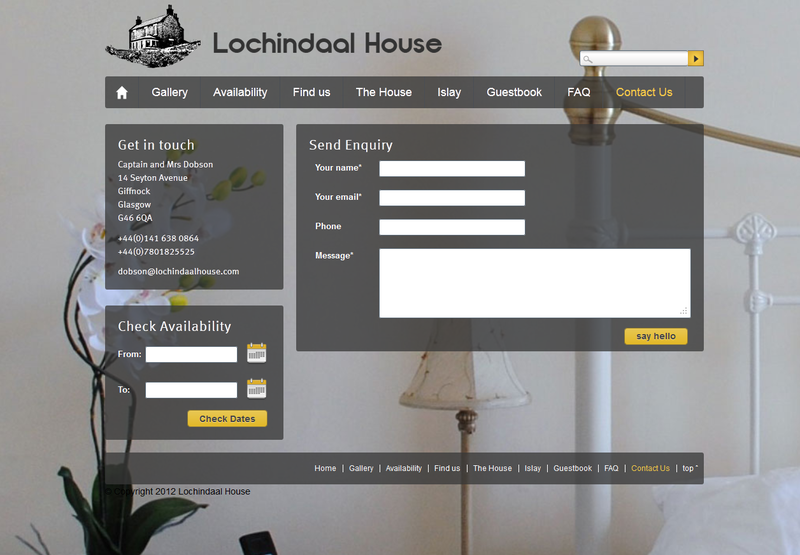 An availability calendar with specific limitations was also developed for ease of use, by both the owners and guests. A family run guest house, the owners were looking for a friendly and informative design. 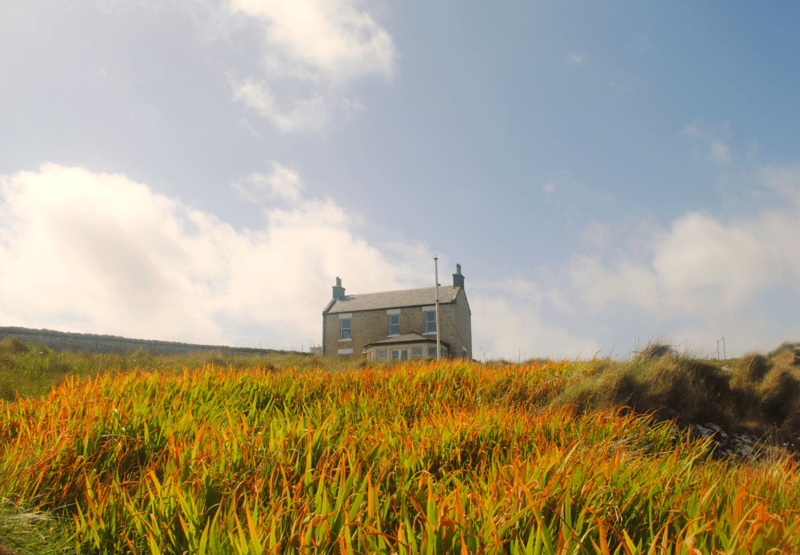 Andographic Design provided exactly that, with a focus on imagery to showcase the beautiful surrounding landscape. The simple block design allows reordering of the site widgets so the owners can easily swap the basic elements around without further developer input, keeping the look and feel fresh. Level up has provided excellent and timely service and they have always been there to provide immediate answers to all of our queries. I would strongly recommend anyone looking for a website service to look no further. 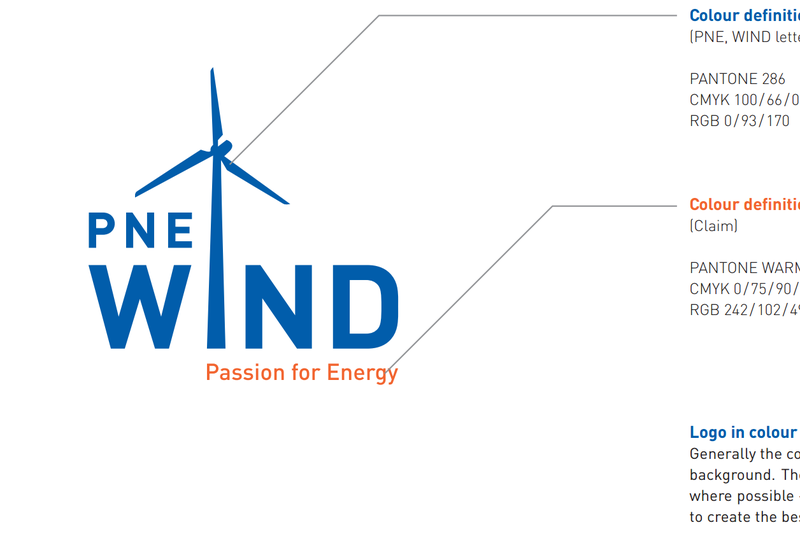 PNE Wind UK specialise in the development, financing and operation of wind energy projects. 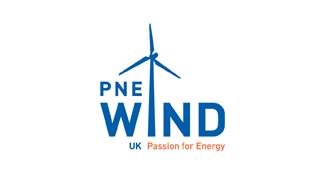 Recommended by another client, PNE Wind UK required a multi-site framework with a single administration, which they could easily update and expand as the number of their projects grew. 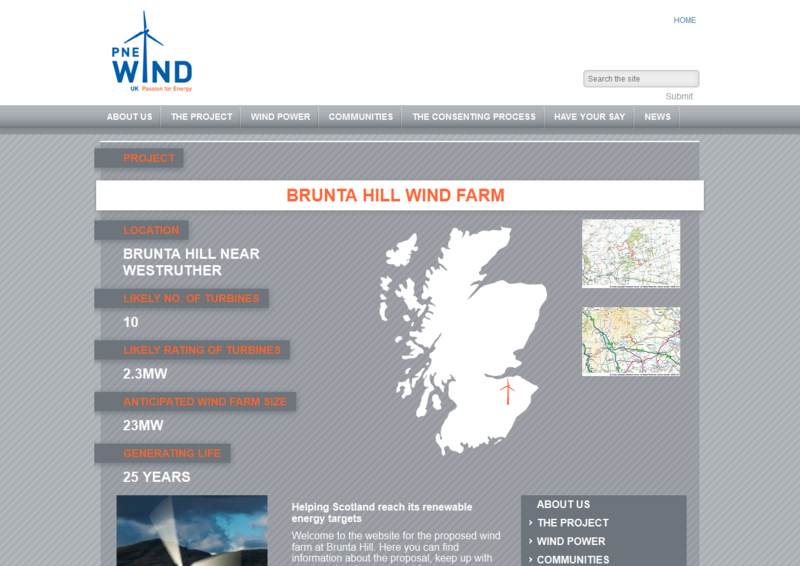 The main site is a standard corporate presence, providing detail on PNE Wind UK, with a number of bespoke components to focus on renewable energy. The site also had to power an undefined number of micro-sites running from the same framework. We created a bespoke micro-site builder, allowing new microsites to be quickly and easily generated, as and when required. 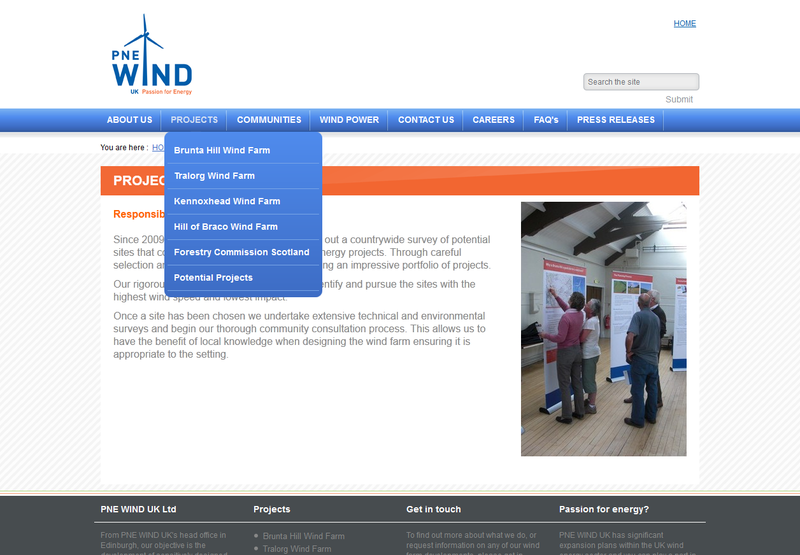 PNE Wind UK already had a preferred designer, Made Brave, who we worked with to develop their ideas into a specification matching the needs of the client. Through collaboration with Made Brave, we ensured that the microsites reflected the brand adopted across the main site. 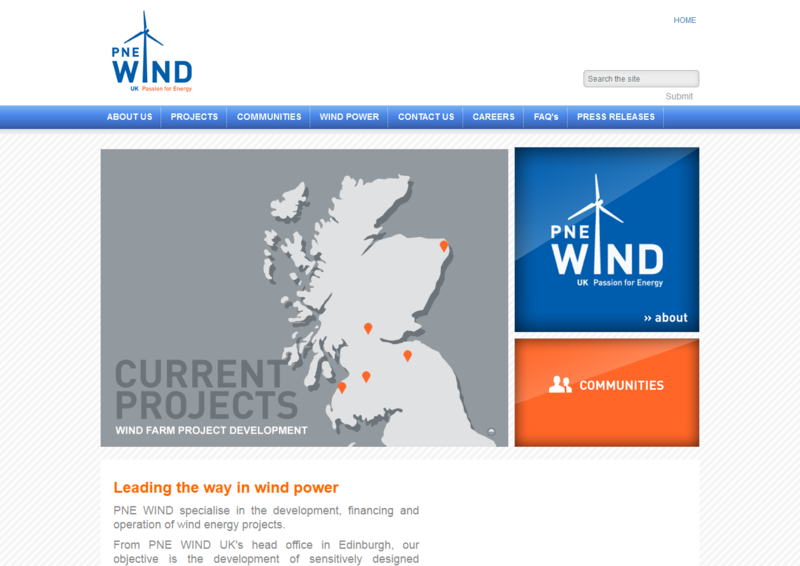 PNE Wind UK have launched 5 microsites to date, all linked to the main corporate site. 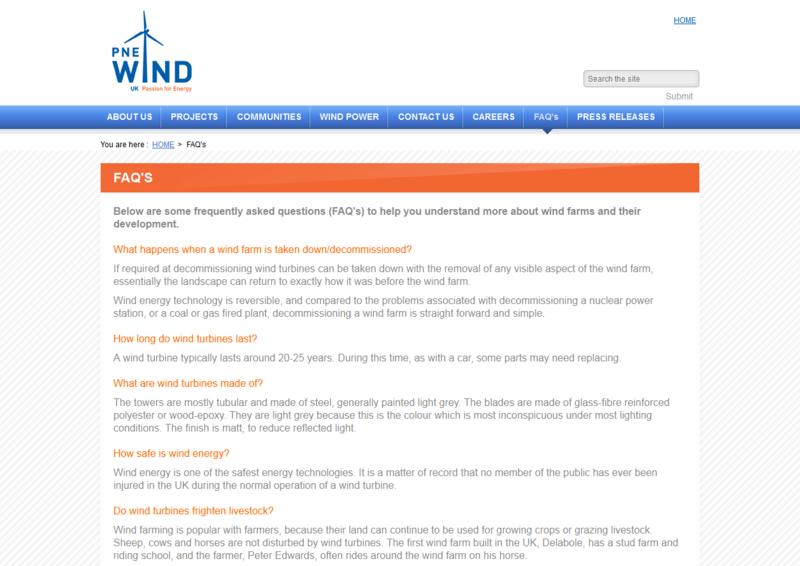 As PNE Wind UK’s portfolio of wind farms develops and increases, so too will their online presence. Level Up have been superb. We are extremely happy with the end product which was delivered within budget and the timescales agreed. Excellent customer service. 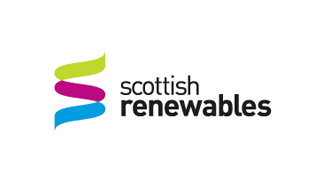 Scottish Renewables are Scotland’s leading green energy trade association. 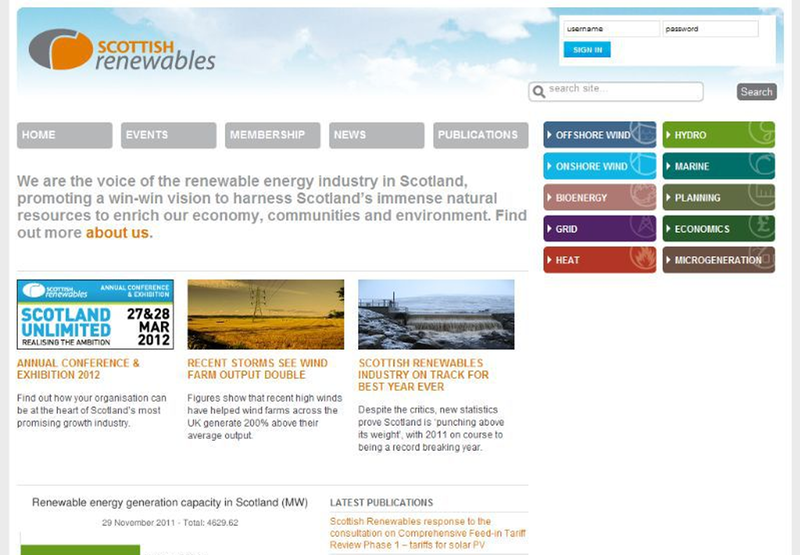 Being experts in Django, the framework on which their site is built, Scottish Renewables approached Level Up seeking augmentation of their administration area, the development of associated microsites and a refresh of the overall look and feel. 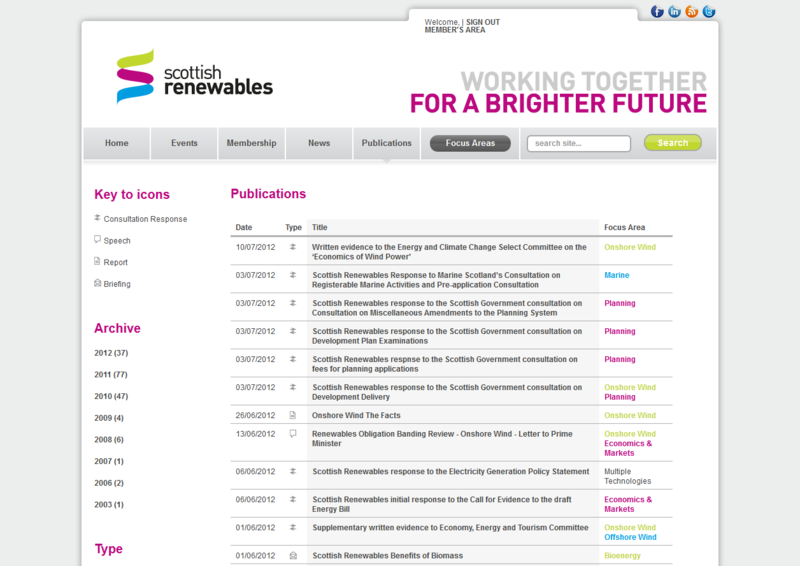 We work with Renewables on a monthly basis to assist with ongoing improvements and enhancements. 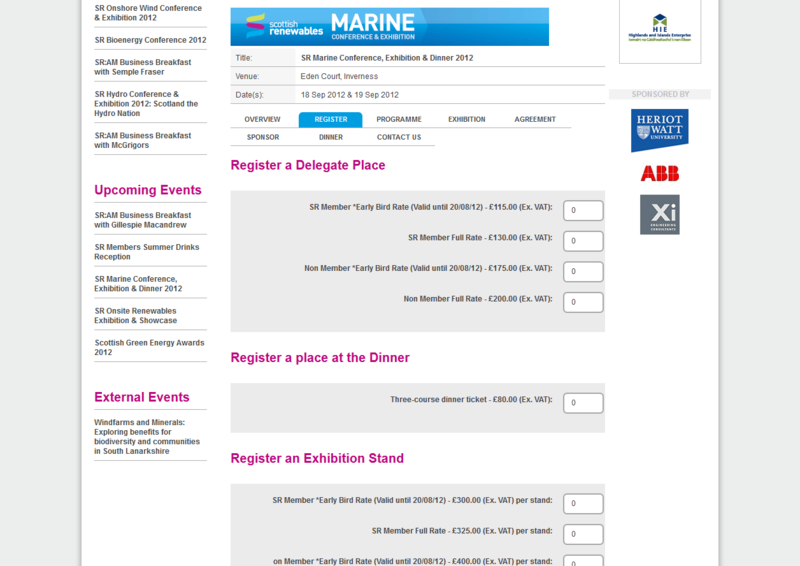 Site navigation, together with payment and booking processes, have all been polished as part of continuing maintenance. Following a company wide rebrand by Made Brave, we worked with the designer to implement a new design into the existing framework, ensuring a consistent identity that reflected the new marketing strategy. 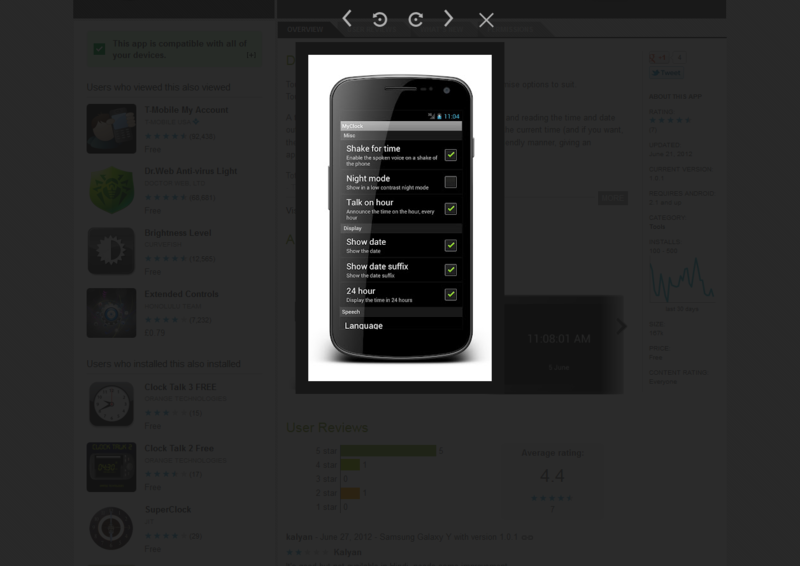 New functionality was also introduced, including social media widgets and news updates. A flexible team that help make creative ideas a reality online. 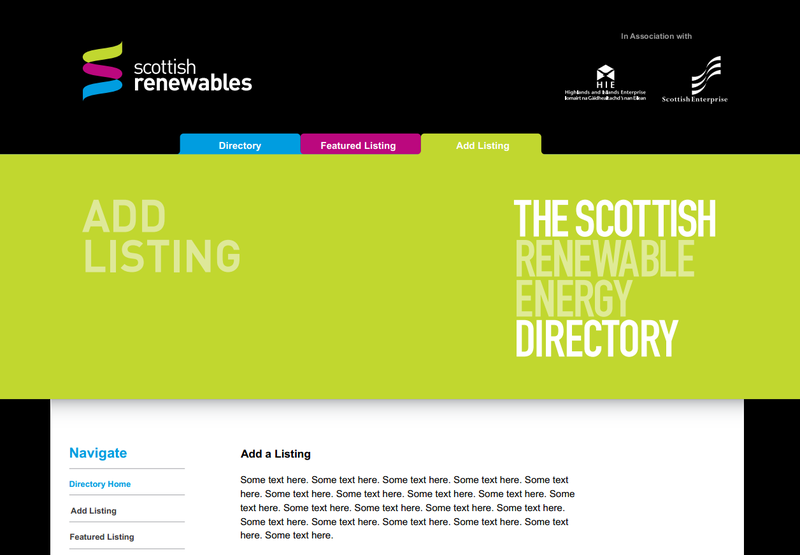 The Scottish Renewable Energy Directory is an online version of the popular printed directory, allowing users to efficiently search for companies, register and pay for inclusion. Although separate to the corporate site, ensuring brand identity was maintained was essential. 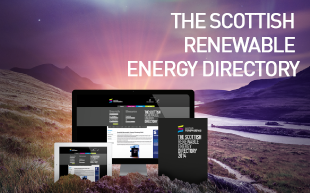 We worked with Made Brave to guarantee that the microsite was instantly recognisable as part of the Scottish Renewables portfolio. 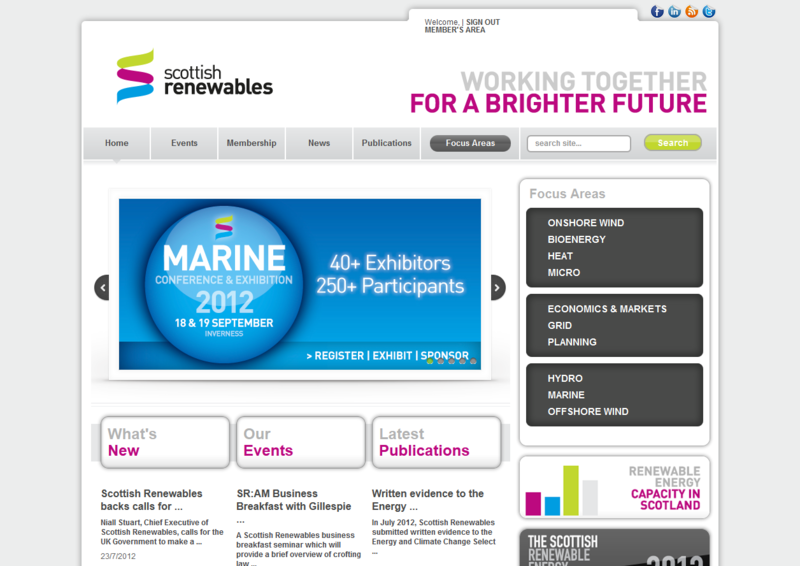 The directory is updated on an ongoing basis and it was vital that Scottish Renewables could manage entries themselves. We developed a contained administration area within their main site Content Management System to allow fast removal and addition of entries and refresh of generic site content. 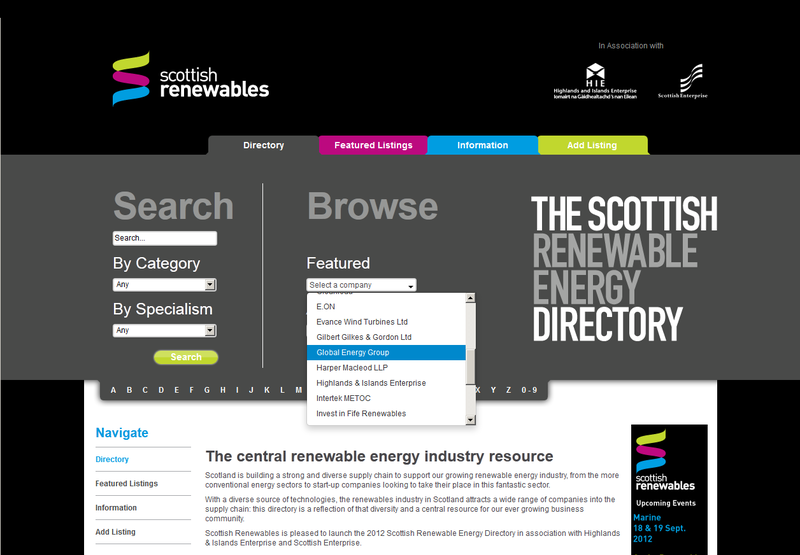 Flexible and intuitive searching of the site was key to the directory’s success. A dynamic search, allowing filtering, sorting and alphabetical display of entries provides users with a range of options to find the content that they need. Featured listings affords companies with enhanced entries greater impact on users. 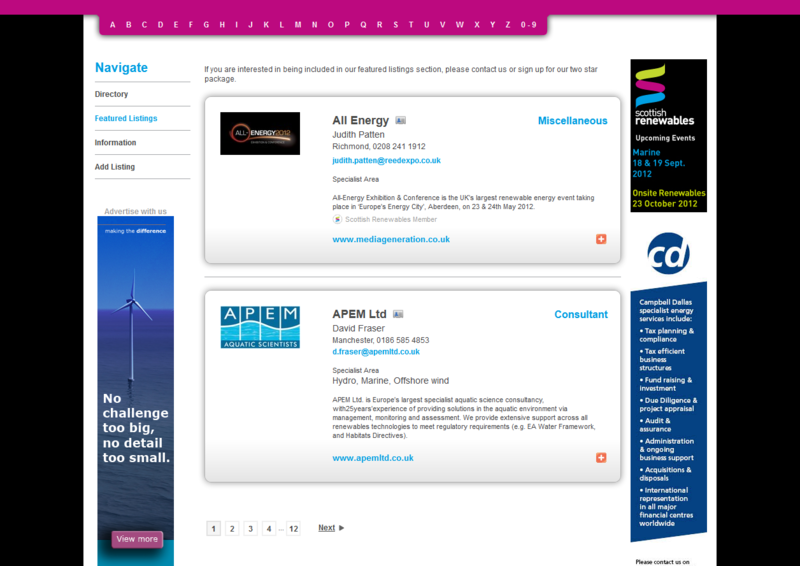 Strategic adverts throughout the site guarantee companies an immediate presence. 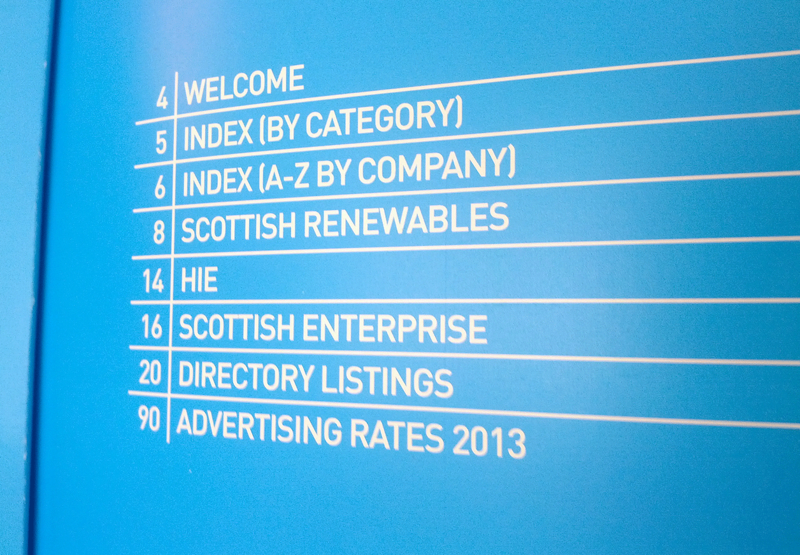 The directory’s aim was to be user friendly, simple and effective and that’s exactly what the Level Up team produced. Touch “My Clock” and hear it talk! 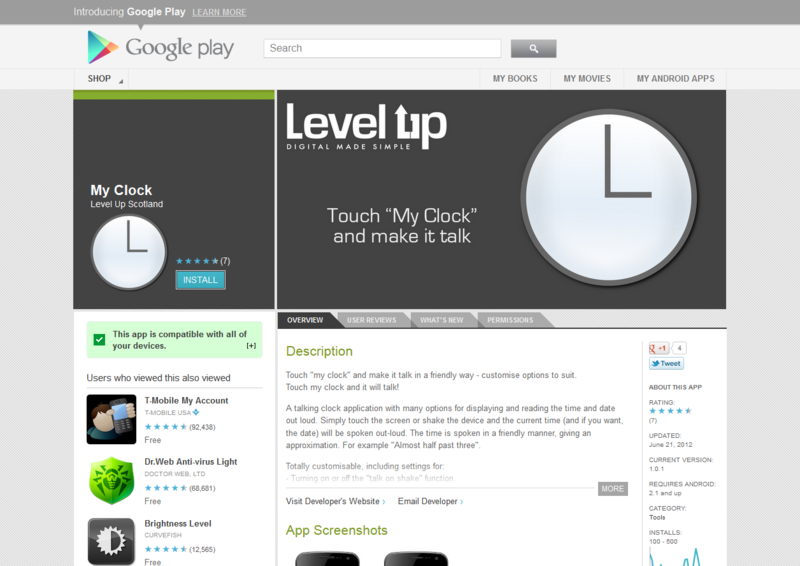 A talking clock application for android devices, My Clock, displays and reads the time and date out loud. Simply touch the screen or shake the device to activate. 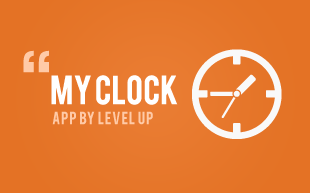 Driven by a need for a simple application for spoken time, Level Up developed an app which does exactly that. Completely customisable, settings to select features such as night mode, friendly speak and shake or touch mode are available. 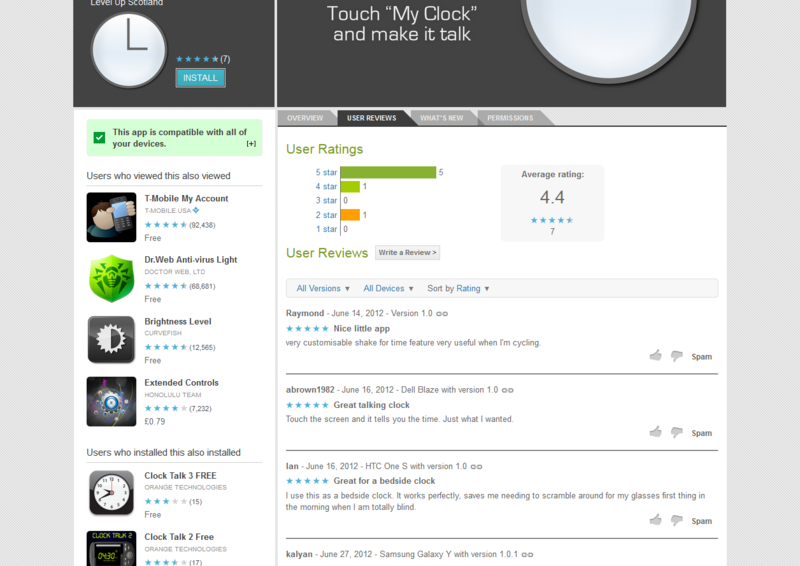 At time of writing, the app has received a 4.4 out of 5 rating on Google Play. I use this as a bedside clock. 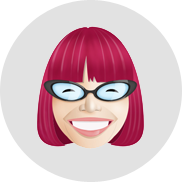 It works perfectly, saves me needing to scramble around for my glasses first thing in the morning when I am totally blind. 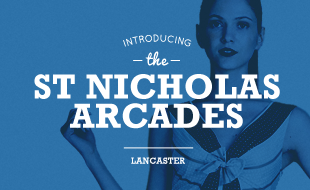 St Nicholas Arcades is a shopping centre based in Lancaster City Centre. JamHot, attached as their Creative Studio, approached us to develop a new web presence for the centre, based upon their design. A flawless technical brief enabled us to complete the site to the client’s exact requirements. Clear, obvious and perfectly executed. A number of well-designed interactive elements on the site bring a clean and simple design to life. 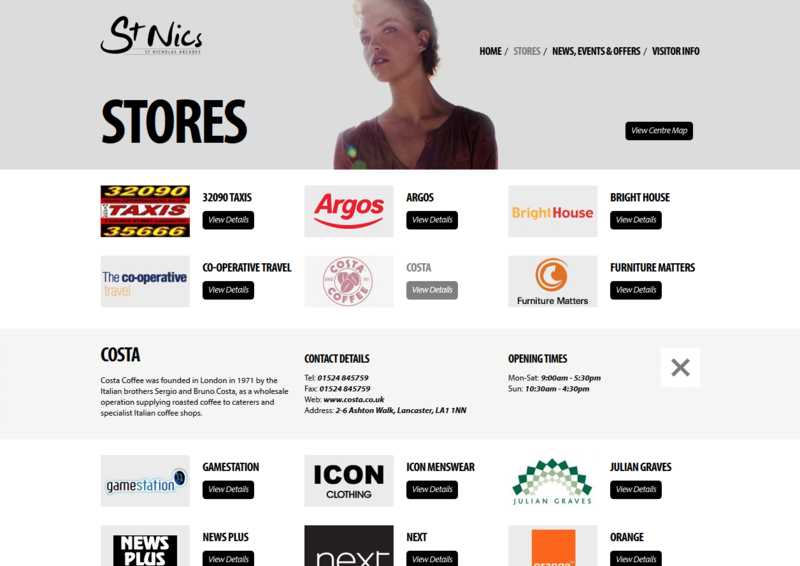 As with all our sites, St Nicholas Arcades is fully editable through the administration controls allowing staff to update and add content as required. The team at level up were a delight to work with. From initial meeting to finalised site they perfectly and exactly executed our spec and designs into a full site and CMS that both ourselves and the client were extremely proud of. 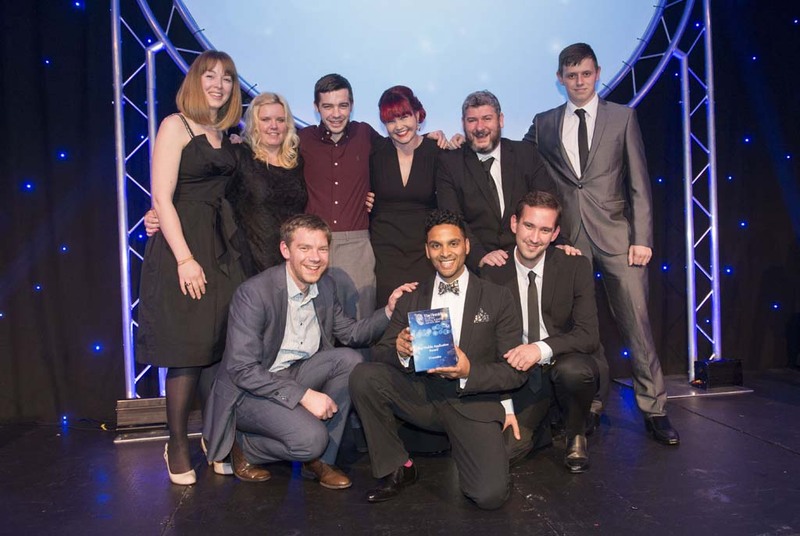 If you need a top development team look no further... hire these guys! 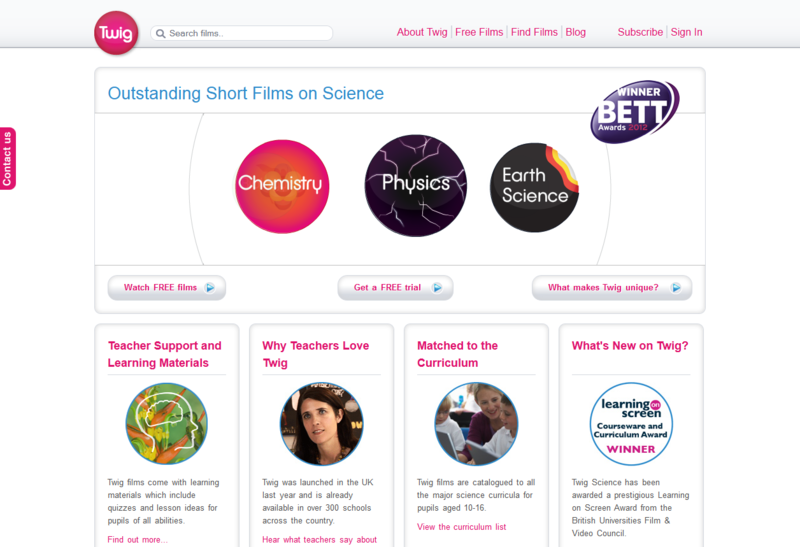 Twig provide an online resource of over 600 short films across a diverse range of subjects. 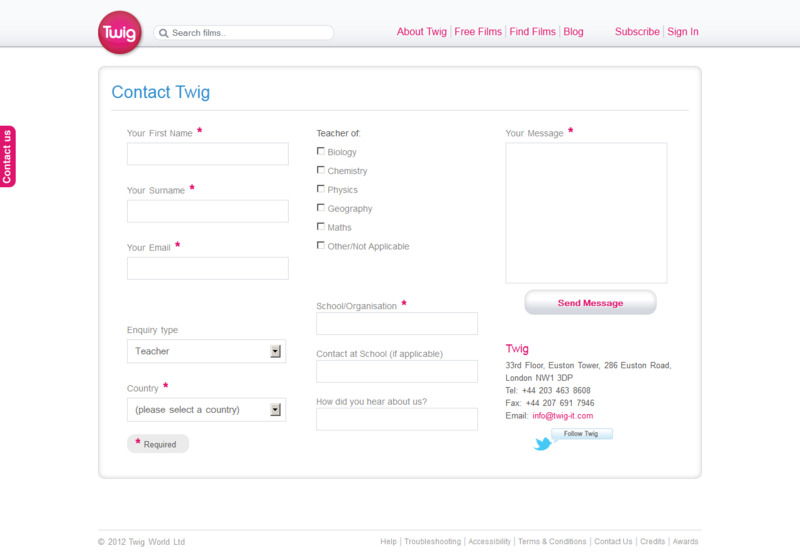 We were approached by the development team from Twig, to work with them and assist with their new website. We have been working with them consistently since being approached and have provided support and help over all areas of their online strategy including hosting, programming framework and overall targets. 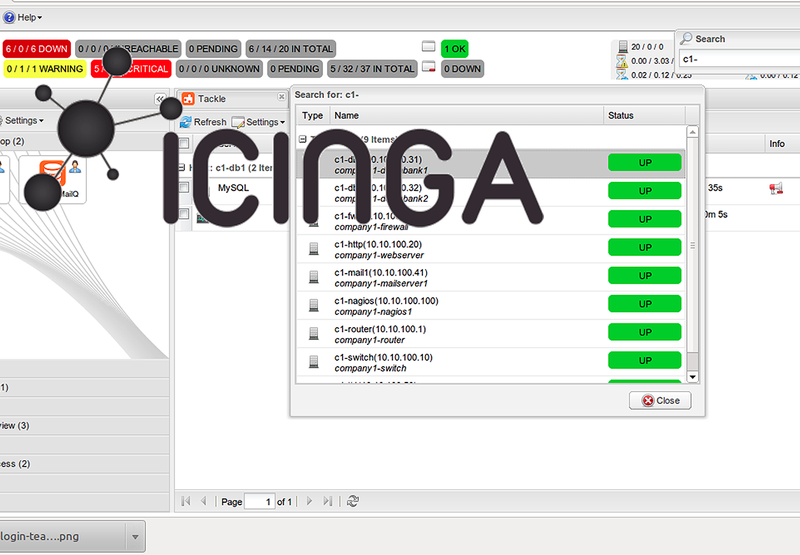 We provide Twig with on going support in the running of their multiple sites and servers. 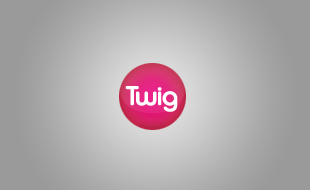 Improving and maintaining a scalable infrastructure to serve Twig’s customers all over the world. We have found Level Up to be excellent on all fronts - we have been able to transform our web service thanks to their support and expertise. The team is extremely professional, friendly and engaging with a proactive approach to solving problems. I would have no hesitation in recommending Level Up to any organisation looking for a digital agency who will deliver above and beyond expectations. We are an open, friendly and approachable team who enjoy interacting with our clients. With over a decade's experience, we have the skills and knowledge required to produce the highest quality work. Our developers are experts in web technologies. We are constantly learning to ensure we are always at the forefront of technology. We love web standards and use best practice, creating future-proof sites that are easily maintainable. We work very closely with some of the best design agencies in Scotland to ensure that your project looks as good as it performs. We also play nice with others, so if you have an internal design team or prefered designer then we can happily work with them too. Once your product has been developed, it is fully tested before launch. We use a combination of automated and human testing to ensure that everything works as expected and is fully functioning before being released to the public. 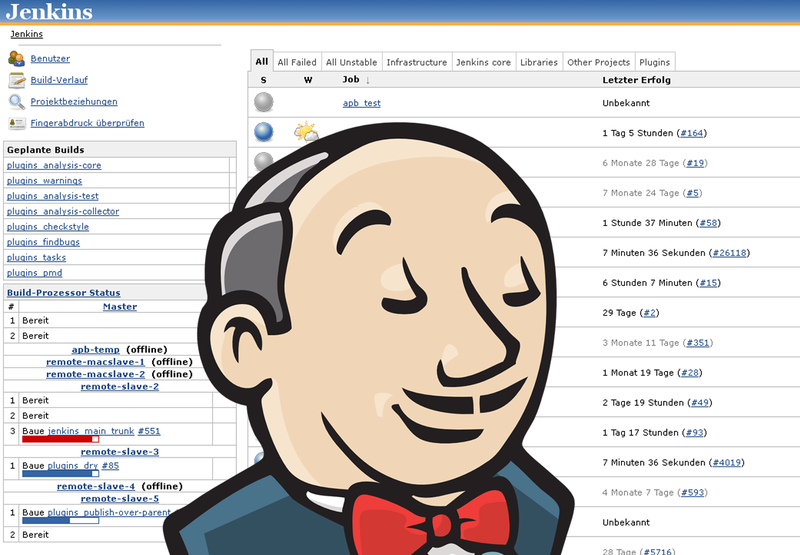 Our favourite tool is Django, using it we can ignore the tedious jobs and focus on the fun and inventive. Performance, application security and administration tools are provided as standard. 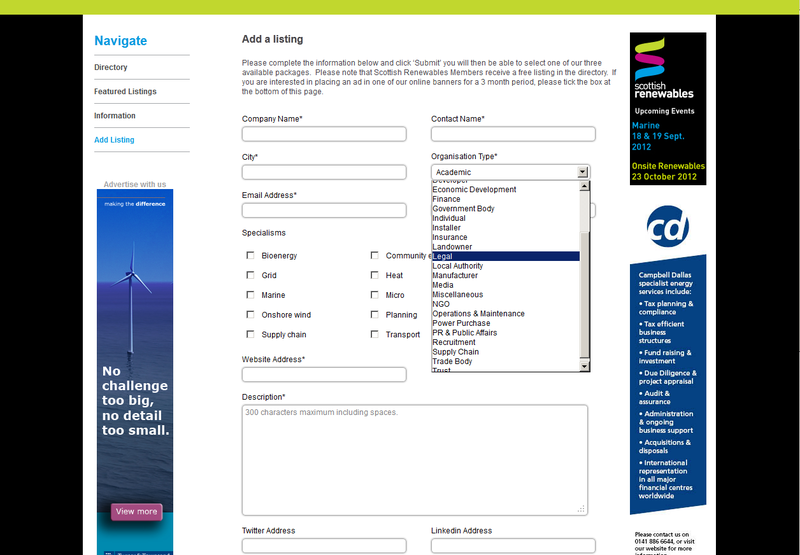 We understand that you need the flexibility to update your own website, so all our sites are content managed. Our advanced CMS is designed to be powerful, secure, reliable and easy to use. We integrate with Sage Pay, PayPal, Google Checkout, WorldPay and others. If you want a fully-functioning eCommerce application we can provide it. If you want to sell a single product using digital download and PayPal, we can do that too. We develop custom tools for you. We can build a responsive design giving mobile viewers a better experience. If you are looking for an application, we can do that too. We develop mobile applications for Android, iPhone or iPad providing expanded functionality, greater market penetration and a better experience. We use open-source technologies to reduce your costs, avoid licensing and stop you being reliant on any one vendor. You own any work we produce. We use the cloud to provide scalable, secure and reliable hosting at a low cost. Fully managed by us with fault detection, complete back-ups and 24/7 monitoring, all large media is placed on our CDN, ensuring the fastest speeds for your users. We love to get involved in exciting projects. No matter what size we're happy to talk about a new idea, website, or application. Project Manager and all round studio organiser. Becky runs the studio, supports clients, makes sure we hit our deadlines and always have milk. Lead programmer and technical guy. Allan writes the specs and gets the projects built. Has a magic bag with every gizmo in the universe in it, need a usb cable he’s your man. Chief Engineer and server guru. Along with programming, Raymond makes sure that our sites stay running and our methodology is good. He also makes up the website songs. © Copyright 2019 Level Up Limited. Level Up (Scotland) Limited is a company registered at 40a Speirs Wharf, Glasgow, Scotland, G4 9TH. Registered in Scotland No. SC397928. VAT No. GB 112 0739 57.